Radio waves are invisible to our eyes, therefore, they do not arrive in any \"color\" that we\'ve ever known. When we take our data and plot it, our artists can assign any color they please to the results. 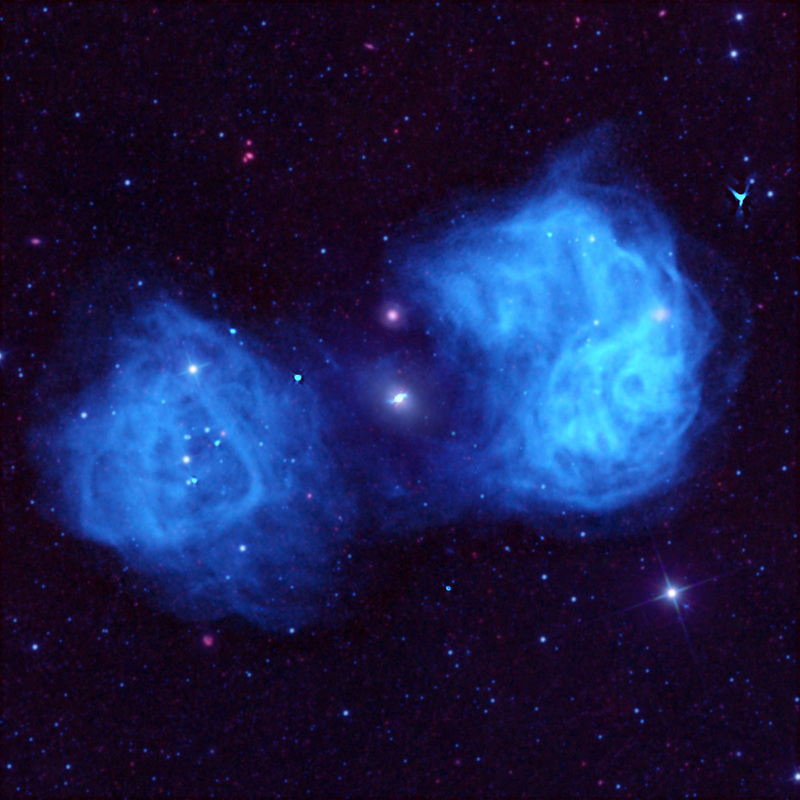 In this image of the famous Fornax radio galaxy, our artist tried a blue coloring for the enormous lobes of gas this galaxy\'s black hole sprays out.